Heather recently asked: Do you have any advice for VERY reluctant readers? They are 11 and 12. They are both great readers, but do not enjoy reading in their free time. Frequent trips to the library. Make it a weekly habit while you are already out. Daily practice. Afternoon quiet time. Our long-standing habit gives us a daily practice time for independent reading. Make a comfortable spot. We often make a big deal of afternoon quiet time for little ones. We pull out pillows, set up stacks of books. But big ones like a comfortable spot too. Lean heavily on audio books. This made the biggest difference for us. One of my eldest two didn’t enjoy reading until we borrowed several audio books of nature stories. He would listen during quiet time. 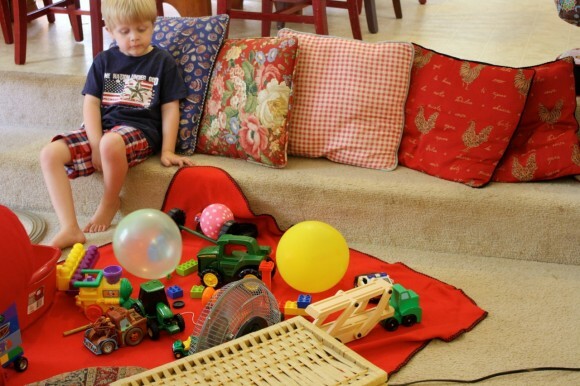 Sit in the floor and play with his trucks. After several months of audio books, he grew to naturally enjoy reading on his own. 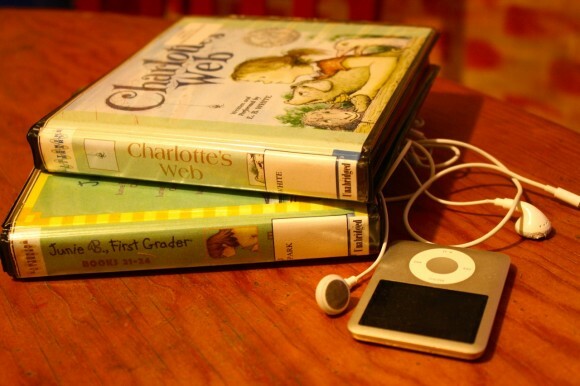 You can even make your own audio books of favorites. This same son, who still is an auditory learner, loves guides and technical manuals. When he was just five, Nana recorded herself reading Audubon First Field guides. Bless her! He would gather the one he was interested in that day, put it in the player and follow along. Let them read what they love. This goes without saying. Sometimes I insist on a history reading during part of quiet time. But mostly the children read what they love. Keep books within plain view. It’s an open invitation to read. (We use the family room fireplace mantel as a book shelf). Read aloud together as a family. The Five in a Row selection for the week. Leading Little Ones to God. Jotham’s Journey trilogy during the Christmas season. 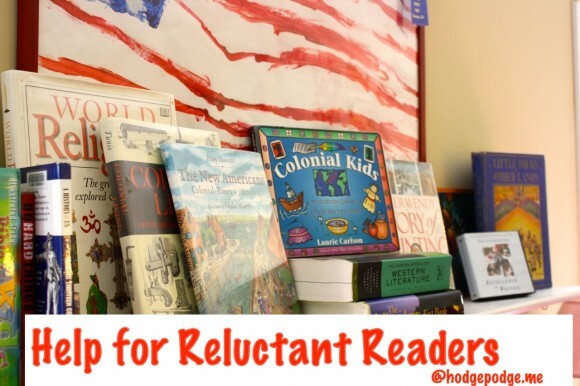 I hope these have given you a few ideas for helping your reluctant reader. What are your tips? We are teaching our 5th child to read. 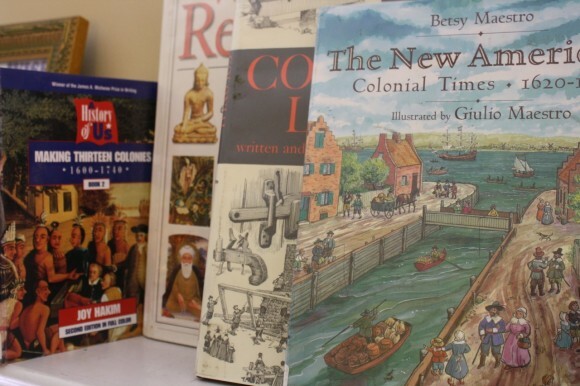 All our favorite reading resources. I have all our helpful homeschool habits in one spot for you. Want future homeschool helps? Subscribe to Hodgepodge. Finding JOY in Creation (Nature) Study…Again! Our reluctant reader benefited from a reading time after lunch, cartoon books (Tintin and Asterix) and many read alouds. He felt, last summer, that he needed to improve his reading speed to enjoy books more, so read some Secret Seven books to help with this. They were quite easy for him, aged 11 then, and not his favourite genre but did increase his speed. Since then he has enjoyed reading more and has happily tackled longer books. 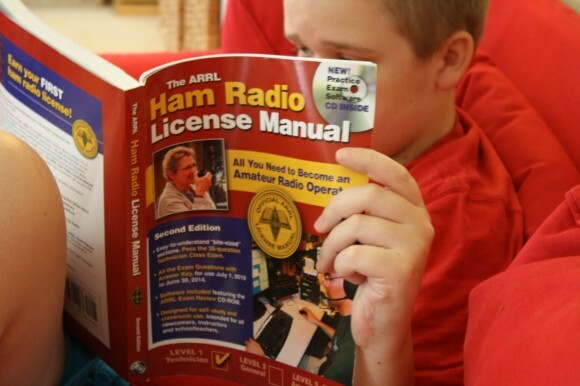 It’s so funny to see him reading the ham radio manual-that’s something that my son (who typically doesn’t like reading) would spend all day with. Just one of the many beauties of homeschooling! Nana read and taped herself reading the field guides for your children? I am in awe of how wonderful this woman is….hugs to her. Love this idea! Wish my grandma had done this for me when I was little because it would have been such a treasure to have. Absolutely a treasure. Yes, she read and taped several in that Audubon First Field Guide series. My boy became an ornithologist at age 6 🙂 So much we all learned by going through field guides. Thank you Nana!! Great tips! 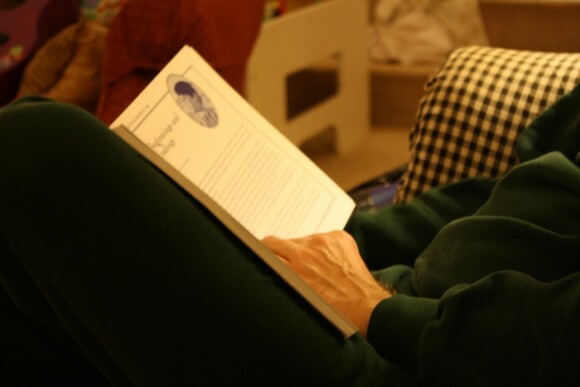 I also think that seeing both parents and older siblings read for pleasure demonstrates that it is a fun activity. We have a “You snooze, you lose” policy on all books meaning that when are kids fall asleep, my husband and I will go steal their books and read them. Knowing that mom and dad want to read their book makes the book more appealing. Give them a choice between reading and something you know they don’t want to do. I sometimes ask my son, “would you like to read a book or clean your room?” Reading wins every time! Let them bamboozle you into reading “one more chapter” before bedtime. Then let them sneak a little extra reading time before they fall asleep. Nothing is more enticing than a forbidden activity! Absolutely fabulous Alea!! Love it. I had the best time reading through your descriptions. Thank you! We have one that will stay up and read through the night. She’s rather read than do most everything else.